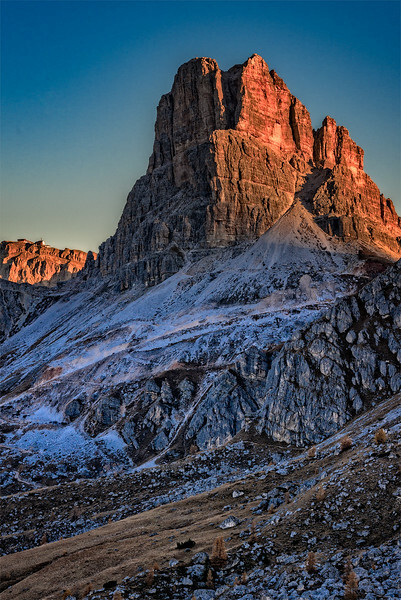 A high pass, near Cortina d'Ampezzo, has tremendous views, especially to the east. This rocky promontory oversees the pass. The top of a ski lift is visible on the left.